When GoAir announced yesterday its intention to offer 17 lakh (1.7 Million) seats for sale for the travel period between Jan 01, 2015 and March 31st 2015, there was something misleading, yet not dishonest about the advertisement. The advertisement, ‘Winter Offer – 17,00,000 air tickets for travel from January 1 to March 31, 2015 – Fares Rs. 1,469* onwards. Book now!‘, projected the offer as a large volume sale, perhaps on the lines of SpiceJet’s, during the latter’s better days. The result? The ‘Winter Offer’ attracted many visitors to its website, making the website slow, unresponsive, and at times – not load at all. But the attention it gathered was based on perhaps a misleading wording of the offer. Go Air is a small sized, Airbus A320 operator. Each aircraft flies just 176 seats, as four middle seats in the first two rows are left vacant as part of the Go Business offering. This airline flies to 22 destinations, on mostly mature routes which the airline claims are ‘profitable’ (in reality, profitable for the capacity of the aircraft). On average, the airline flies 128 flights a day – all domestic – and carries some 20,000 passengers a day. 20,000 passengers translate to 18 lakh (1.8 Million) passengers across three months. 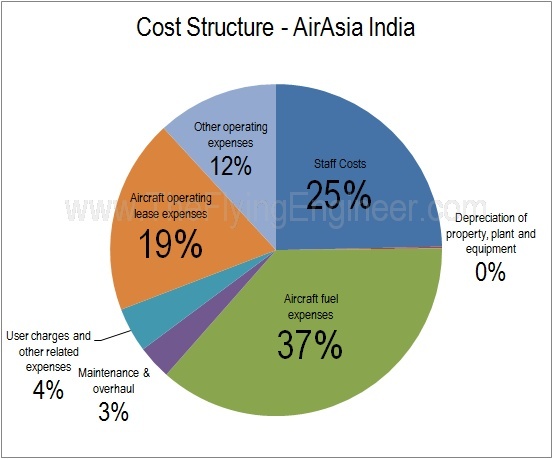 On a lean season to lean season basis, GoAir’s capacity has grown 15%. Based on this, this year’s Q4 FY2014-15 : January, February & March – the period of travel for the ‘Winter Offer’ – may fly close to 21 lakh (2.1 Million) seats, of which 5.8lakh (0.58 Million) seats are expected to fly empty in the absence of a market stimulation. In short, GoAir offers a sale of ‘17,00,000 air tickets ‘ when the airline can fly a maximum of only 21,00,000 seats, making the number of tickets up for grabs 81% of the expected capacity to be deployed, while only 5,80,000 seats (27% of the expected capacity to be deployed) are expected to fly empty in the Q4 lean season. It’s these empty seats that an airline usually tries to fill via an offer or discount. The real, discount offers may be available for a maximum of around 5,80,000 seats, while the remaining seats may sell at close to the regular fares, as it still falls under the bracket of ‘Fares Rs. 1,469* onwards‘. We expect only about 35-40% of the 17 lakh seats to sell abnormally fast in this offer period, as these may represent seats that are priced lower than regular fares. The balance 60% may not witness an abnormal purchase rate, and a large portion may remain unpicked. In the event that the 35-40% target is not met, the airline may perhaps come out with another offer to sell excess inventory in advance. In this sale, the airline has withheld ~20% of its capacity (4 lakh seats), which correspond to about 35 seats a flight, which may include both pre-sold seats as well as seats which may be bought in the last one to two weeks of travel, at high prices. Of these, 8 seats per flight are Go Business, which are priced at between 1.5 – 3 times the regular fares. The five day sale window is abnormally close to the travel period which starts as soon as six days later – a debatable decision. GoAir chief executive Giorgio De Roni told PTI ,”The January-March quarter is traditionally a lean quarter… The purpose of introducing these fares is to make air travel affordable during the period”. 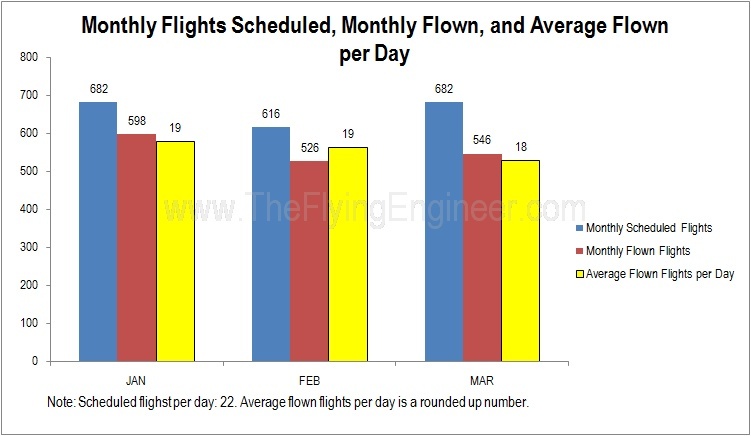 That statement has proved to be very interesting, considering that in the lean season airfares are usually lower, as capacity is higher than demand. The only time airfares rise is when carriers sell their excess inventory early, thereby not putting any pressure on the pricing as the date of travel approaches. The best way to read the offer is by separating, “17,00,000 air tickets for travel from January 1 to March 31, 2015” and “Fares Rs. 1,469* onwards. Book now!”. Air India Regional, better known as Alliance Air, received its first ATR 72-600 at Toulouse. The ATR 72,600 with MSN 1197 is registered VT-AII, and becomes the first ATR 72 for Air India and the fourth ATR 72-600 after VT-JCX/Y/Z that fly for Jet Airways. The aircraft, leased from Singapore-based leasing firm Avation, is the first out of five that the airline will receive until July 2015. Air India Regional presently has about four ATR 42-320s (see photo on the left), which are all about 20 years old. The brand new and longer fuselage ATR 72-600 brings to Air India’s passengers a leap in cabin noise and comfort. The -320s have a four bladed propeller, while the -500s and -600s have a six bladed propeller. The new ATR 72-600 is configured with 70 seats, compared to 48 that are fitted in the shorter ATR 42. This will allow Air India to either stimulate the markets which it caters to with this aircraft, or cater to those that have grown beyond 50 seats. According to ATR, the 72-600 has a maximum take-off weight of 23,000kg, and can carry a max payload of 7,500kg over 900NM. Air India regional joins Jet Airways and Air Pegasus as operators of the ATR 72. Turbo Megha is soon expected to become the 4th operator. AirAsia India, which is believed to be facing a shortage of Senior Flight Attendants, has modified its schedule and pattern to address two problems: shortage of crew, and a poorly performing route. 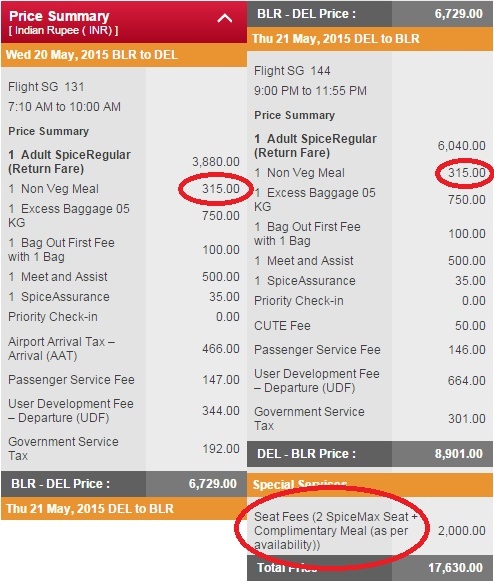 The airline has cancelled its Bangalore – Chennai return early morning for a long time now. The airline previously had two distinct aircraft patterns – ten short sectors (Goa, Kochi, Chennai) on one, and two long and one short on the other (Goa, Chandigarh, Jaipur). The new, effective pattern does not fly the early morning Chennai and return, while advancing the 15:10 Goa flight to 13:15. 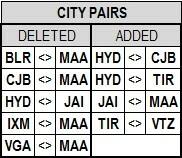 The 18:35 BLR-MAA flight has been moved to 16:30, with a corresponding change to the return flight. The late night Bangalore-Kochi flight has been pushed to a departure 25 minutes later. As a result of these changes, the airline presently operates just 14 daily flights as against its usual 16. 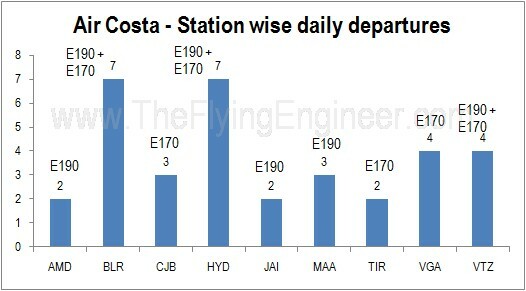 Aircraft utilisation has gone up on the first pattern from 10:15hrs to 13:35 thanks to the Jaipur flight, while the second pattern’s utilisation has dropped to 7:35 in considering the early morning Chennai cancellation. The yellow highlighted cells belong to flights that were moved from one pattern to the other. Most of the re-scheduling may have been done to better match the cabin crew’s flight duty time limitation (FDTL). As a result, the airline’s schedules had become fairly chaotic in November, with a significant number of cancellations and delays. 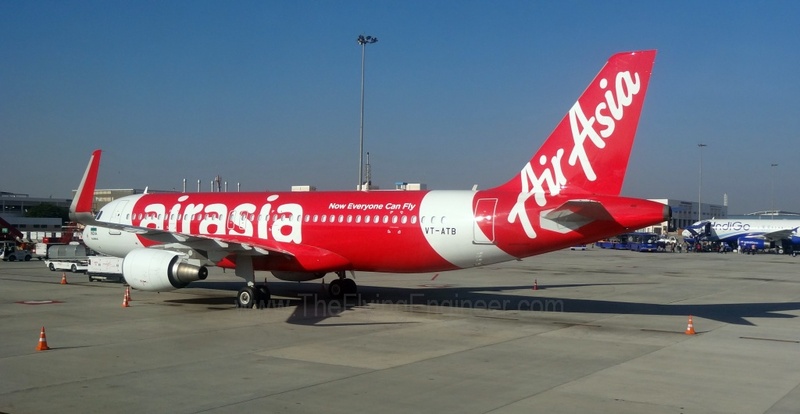 This month, two Airbus A320s are expected to join AirAsia India’s fleet from parent group AirAsia. The airline will fly to Pune from Bangalore and Jaipur from Pune effective 17th Decmeber, for which the aircraft are expected on Indian soil between the 10th and 15th of December. To cater to the new routes without disturbing the present schedule, just one additional aircraft is required in the airline’s fleet. The airline was affected by the DGCA’s directive barring management pilots from assuming training positions. One of the airline’s captains, who reportedly has tendered his resignation but is serving his notice period, has been recognized by the DGCA as a Type rating Instructor (TRE). The airline also has a foreign captain from the AirAsia group serving as a training pilot. Meanwhile, Subramanian Swamy had last evening tweeted about a Delhi High Court Hearing today, concerning both AirAsia India and what he may have meant as Vistara. 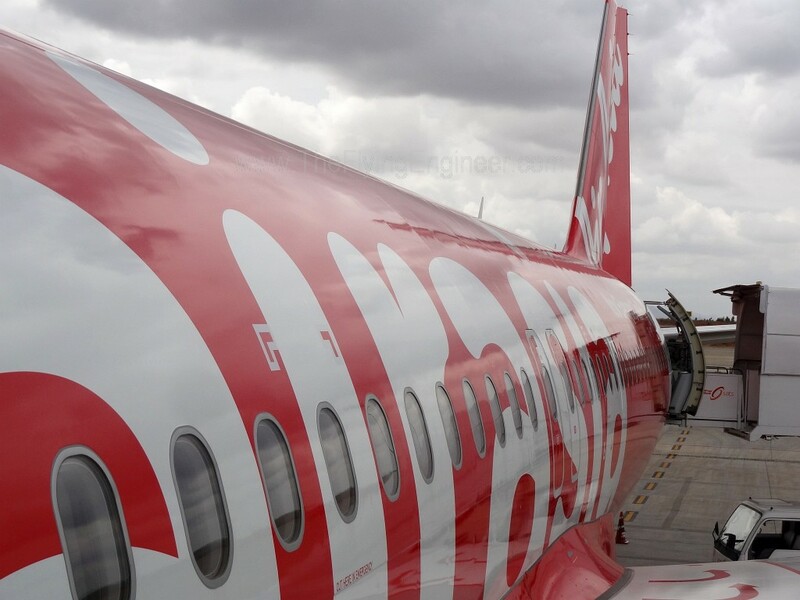 AirAsia India, in its winter schedule filed and approved with/by the DGCA, has listed a slew of new flights, most notably the doubling of its Jaipur (JAI) and Chandigarh (IXC) frequency, introducing a double Vishakhapatnam (VTZ) frequency, and adding another frequency to Cochin (COK). 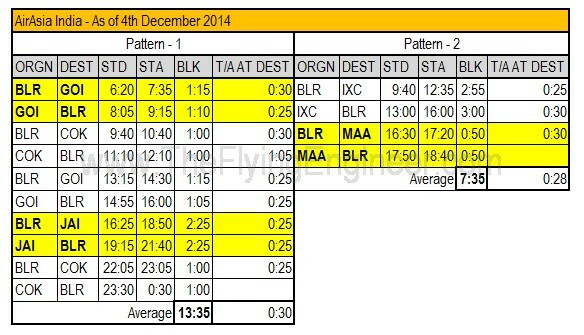 The new schedule will require four patterns (four aircraft), but the fourth pattern is evidently incomplete. AirAsia India is expected to announce further new routes soon – an announcement delayed by at least two weeks now. In the new pattern, the airline seems to focus on a mix of business and casual travellers. Early morning / morning departures to & from Goa, Cochin, Jaipur and Vishakhapatnam, followed by evening/late evening returns from these destinations. The Bangalore-Chandigarh sector’s plan is baffling (though the route records very good loads), as it seems to deploy two flights within two and a half (2:30) hrs of each other. The airline does this with its late morning Cochin flight, as well. The airline still seems to have an unfavorable slot for Chennai. The aircraft utilization in the third pattern will touch an all time high of 14 hours. The airline, to fly the new pattern (if it still holds – most of the airline’s forward looking statements haven’t fructified) will need two additional aircraft by November 17th. 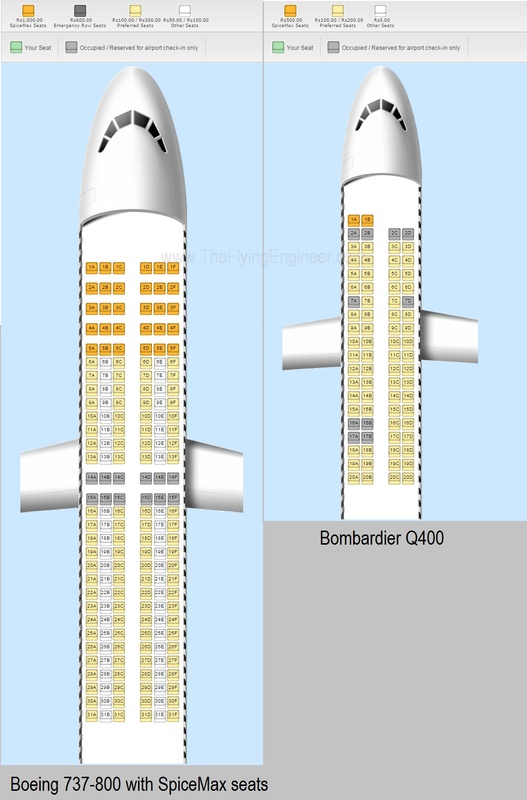 This fleet of four aircraft will require between 16 – 20 sets of crew, which at the highest requirement is 20 Captains, 20 First Officers, 20 Senior Flight Attendants, and 60 Flight Attendants (which may also include trainee cabin crew). The airline will need to go on a hiring spree for experienced cabin crew. Since the start of operations, the airline has held 11 walk-in cabin crew recruitment drives (including one tomorrow and another on Thursday), targeted mostly at fresh (inexperienced) applicants. 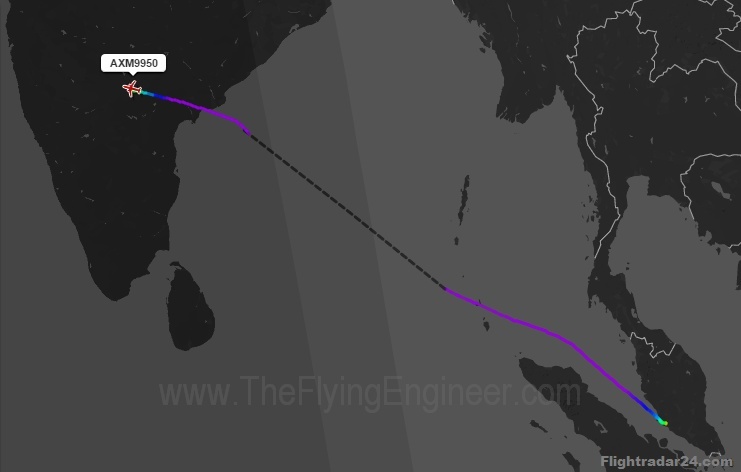 The airline was supposed to have received A320 MSN 6262, registered as VT-ATD, from Toulouse, but the aircraft was re-registered to 9M-AJT and delivered to Malaysia AirAsia. It is very likely that the next two Airbus A320 aircraft will be used airplanes from the AirAsia group. The question is not which, but when. TATA-SIA’s A320-232SL (SL=sharklets), was spotted flying for the first time at Toulouse, France yesterday. The aircraft was flown with a test registration F-WWDT, and the airframe is serial number 6223. The aircraft is to be registered as VT-TTB. The aircraft will next fly to Hamburg where it will have its cabin fitted in accordance with TATA-SIA’s preferences. The aircraft is expected in Delhi, India by August 15th, but no later than August 20th. The airline received its no objection certificate (NOC) from the ministry on April 2nd 2014, and applied for an air operator permit (AOP) on 22nd April 2014. On 9th July 2014, the DGCA decided to consider the AOP application of TATA-SIA, after inviting and reviewing objections and suggestions from the public. Judging by the pace of developments and clearances at the airline, the AOP is expected by the first half of September. Considering that the Delhi High Court today adjourned the hearing of petitions filed by the Federation of Indian Airlines (FIA) and Subramanian Swamy against TATA-SIA and AirAsia India to September 12th, TATA-SIA may secure its AOP before the court hearing. Once the AOP is secured, the airline may open for sales in September, and begin operations by end September / early October, subject to timely clearance of flight schedules by the DGCA. 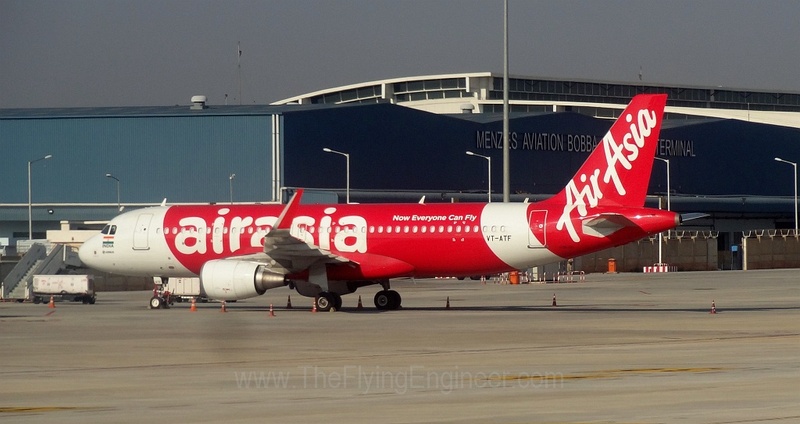 Although TATAs have a stake in both TATA-SIA and AirAsia India, the engine chosen by the full service airline is the IAE V2527-A5, unlike the CFM56-5B6 flown by AirAsia. This particular IAE engine is similar to what IndiGo uses on its Airbus A320 aircraft, and has a higher thrust but lower bypass ratio when compared to the CFM56-5B6. As a result, the IAE engines are noisier. *Based on FAA data. Quantified comparison omitted here as it’s too exhaustive. Pratt and Whitney holds majority stake in the IAE venture, which was originally formed between Pratt and Whitney, Rolls Royce, MTU Aero Engines and Japanese Aero Engine Corp now has Pratt and Whitney as the major stakeholder when the United Technologies Corporation engine unit bought out Rolls Royce’s stake in October 2011. TATA-SIA’s choice of engine was very natural. Singapore Airlines flies Boeing 777s, A380s, and A330s-all powered by Rolls Royce Engines. Singapore Airlines’ subsidiary-Silk Air-flies A320 and A319 aircraft fitted with IAE engines. Tigerair, in which Singapore Airlines has a stake, flies A320s and A319s with IAE engines. AirAsia’s fleet mostly comprises of the A320-216 (CFM56-5B6 powered). According to Amit Singh, Director Flight Operations at AirAsia India, the low thrust of the 5B6 translates to maintenance savings. Worldwide, CFM engines have a reputation for reliability and robustness, reportedly better than IAE’s. The CFMs are reported to offer better economics on the A320 and A319. Although CFM has more than 55% of the classic engine market that powers the A320 aircraft, it has a lower market share in Asia Pacific. 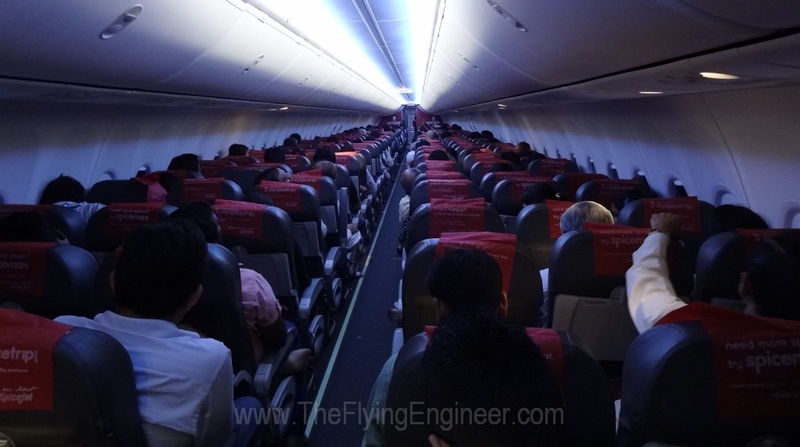 In India, presently, 93 Airbus A320 family aircraft are powered by IAE Engines, while 66 are powered by CFM engines. 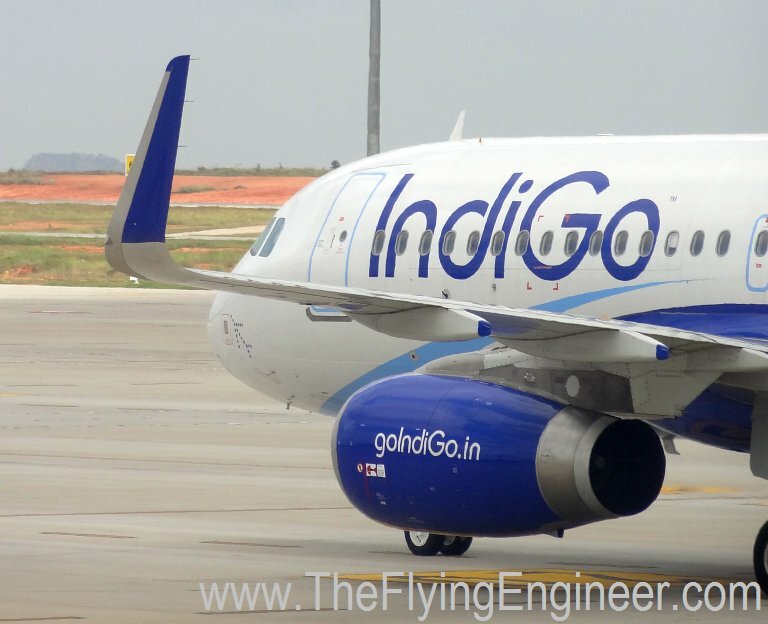 Of the 93 IAE powered A320 aircraft, 78 comprise IndiGo’s fleet. Edit: Thrust ratings changed to reflect take off thrust as published by EASA. 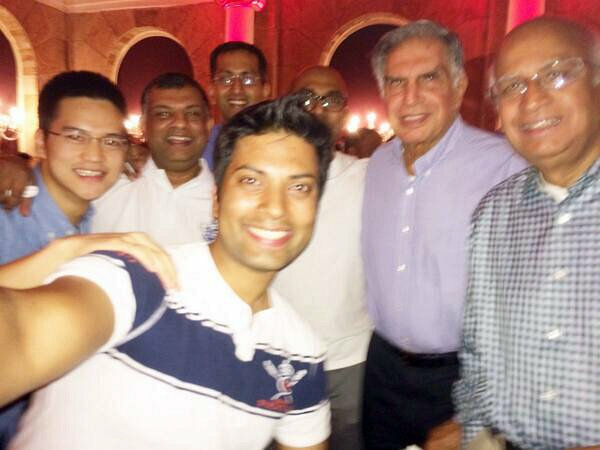 Tony, Ratan Tata, Ramadorai, Venkatraman, Mittu, and others from AirAsia celebrating the board’s gathering at ITC Windsor, Bangalore. Bangalore, the supposed aviation capital of India, and rumoured to eventually become AirAsia’s operational base, will witness something like never before, tomorrow. The airline, known for its loud and off-beat branding, will mobilize a convoy that will run between Hotel ITC Windsor, and Bangalore’s Kempegowda International Airport. The 32km drive will see loads of Royal Enfield bullet motorcycles, and an open roof bus which will have Tony (Group CEO, AirAsia), Mittu (CEO, AirAsia India), and few cabin crew waving out to the crowd. Tony will fly his first ever AirAsia India flight tomorrow, on board i51320 from Bangalore to Goa, scheduled to depart at 15:10 local (IST, GMT + 05:30). 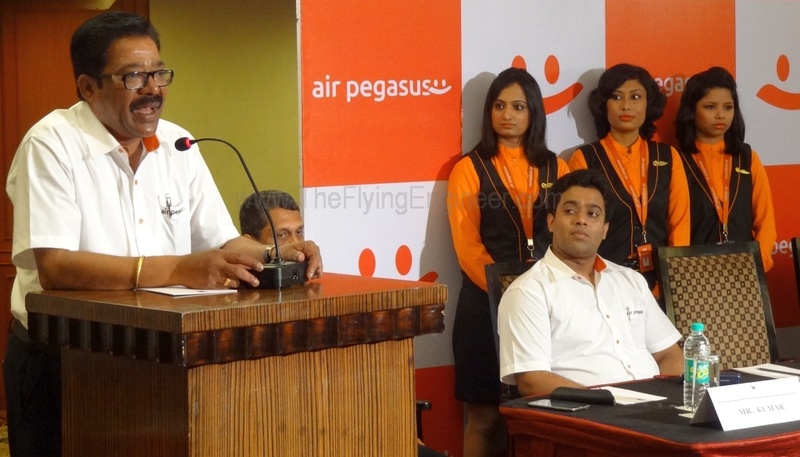 Tony Fernandes will fly for the first time to Goa; his parents’ roots trace back to the tourist city. 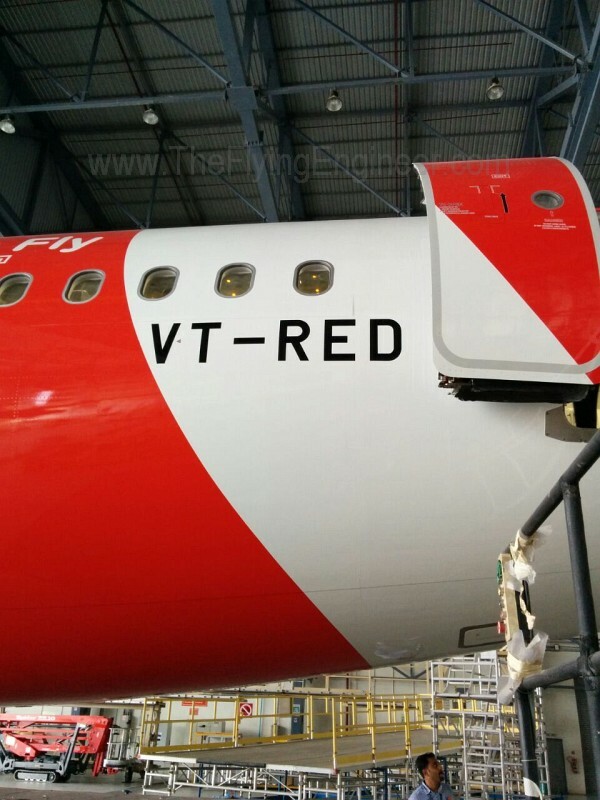 Tomorrow’s branding will be one of a kind, and will give AirAsia India significant publicity. Ratan Tata, who is at Bangalore meeting AirAsia India employees, may stay away from tomorrow’s stunts, as it is culturally a stark contrast to the ways of the attention shy guy. Welcome different branding, India. Now everyone can see.